MARQUETTE, MI – Leonard J. “Lenny” Dawson, Jr., 64 of Marquette, died Thursday, August 16, 2018 at his home. Lenny was born on April 14, 1954 at Royal Oak, Michigan to the late Leonard J. and Ethel (Thorogood) Dawson, Sr. He was a graduate of Berkley High School in Berkley, Michigan. He then attended Oakland Community College for a time. Lenny was a graduate of the Michigan State Police 94th Recruit School. 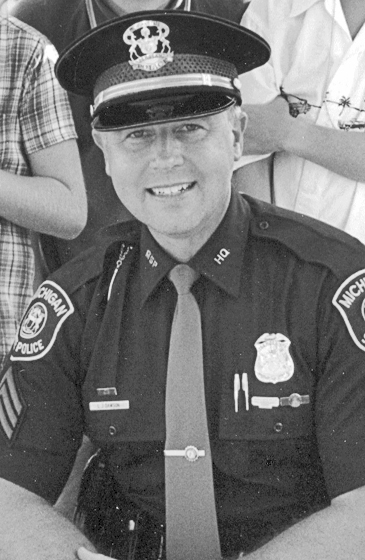 He served as a State Trooper/Sergeant for 25 years at both the Negaunee and Lansing posts. During his tenure with the State Police, Lenny also was an accident re-constructionist. He was the training coordinator for NMU Public Safety Institute / Regional Police Academy from 2004-2009. Lenny and his family resided in Marquette for 40 years. Survivors include his wife of 41 years, the former Mary McFarland whom he married on June 24, 1977 in Berkley; two children, Matthew Dawson of Jacksonville, NC and Kati (David) Mead of Marquette; three grandchildren, Brennah and Vivian Dawson and Leo Mead; two brothers, Jeffrey Dawson, Michael (Tammy) Dawson; one sister, Mari Hampton; mother-in-law, Maureen McFarland; also several nieces and nephews. Preceding Lenny in death besides his parents was his daughter-in-law, Lori Dubois; also his father-in-law, Bob McFarland. The Dawson family will greet relatives and friends on Friday, August 24th beginning at 11 a.m. at St. Michael Church where a Mass of Christian Burial will be celebrated at 1 p.m. in the church with the Rev. Greg Heikkala officiating. A luncheon will be served in the Zyrd Parish Center immediately following the mass. Michigan State Police will stand as honor guard during the visitation. Those wishing to make an expression of sympathy are kindly asked to consider the Northern Michigan University Public Safety Institute/Regional Police Academy, 1402 Presque Isle Ave., Marquette, MI 49855 in Lenny’s memory. The Canale-Tonella Funeral Home is assisting the Dawson family where memories may be shared at canalefuneral.com.